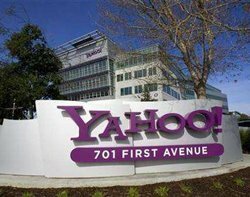 Yahoo shareholder Ivory Investment Management has called on the board to re-open talks with Microsoft to buy Yahoo's search business. Ivory made the call in an open letter to the Yahoo board as 1,500 Yahoo employees received redundancy notices as part of the company's cost savings plan. Most of cuts will by at US-based sites, the company said, but gave no details about which parts of the business would be affected. Outgoing chief executive Jerry Yang said in a memo that the company would make every effort to support those affected with severance packages and other services. Yahoo has suffered a $30m loss in value since Yang rejected a buyout offer from Microsoft in February. Microsoft chief executive Steve Ballmer last month dismissed the possibility of another buyout offer, he said Yahoo's search business was still of interest. Ivory managing partner Curtis Macnguyen said in the open letter that a deal with Microsoft could more than double Yahoo's value. Controversial investor and Yahoo director Carl Icahn has also been pushing for a deal with Microsoft. Icahn's shares in Yahoo have fallen nearly $950m in value since he took a $1.8bn stake in the internet firm. According to Ivory the proposed deal with Microsoft could improve Yahoo's earnings by $500m a year and reduce Google's dominance of the search market.